I have long been an advocate of choice, particularly when it comes to computing. I often spend my time helping answer questions related to Linux in the Alternative Operating System section of here at Overclockers.com or on the Linux Mint forums. I also help people locally when I can and derive my living from the Penguin. Recently, Steam has officially announced they would be supporting Linux. This has set the Linux gaming world a buzz. After all this could mean a wider adoption from the mass public which might propel Linux to newer and greater heights. Still, I have been buying games from developers who have supported Linux well before the announcement by Valve. The fine folks over at have been working with developers for quite a while to provide cross platform support. However, with the ‘rediscovery’ of Kickstarter by many game studios, both independent and well known developers have taken to crowd sourcing their games. In this multi-part series, I have contacted many developers who have confirmed Linux versions of their game. I probed a little deeper into what types of games are in the pipe for Linux, and how and why developers have supported a cross platform experience. Some of the games in this series have yet to arrive on Kickstarter, but have campaigns planned for the near future. Others are currently underway, while more still have successfully completed their Kickstarter campaigns. For the uninitiated, it would be a good idea to talk a little bit about what Kickstarter is and why it is important in the wider community. Kickstarter is a funding platform for creative projects. Everything from films, games, and music to art, design, and technology. Kickstarter is full of ambitious, innovative, and imaginative projects that are brought to life through the direct support of others. In simple terms, Kickstarter offers a public space for individuals, companies and organizations to showcase their product ideas in an attempt to persuade the average ‘Joe’ to pledge money towards their cause. Kickstarter uses an “all-or-nothing” funding model. What this means is that if a funding goal is not met, backers are not charged anything. Kickstarter claims that this model is less risky for all parties involved. “If you need $5,000, it’s tough having $1,000 and a bunch of people expecting you to complete a $5,000 project.” Additionally, crowd-sourcing in this manner motivates supporters to spread the word in order to see the project they are backing succeed. In this model, Kickstarter claims that projects are either fully funded, or barely funded at all, with very little in between. This may seem a little confusing, so let’s look at an example. Assume that Mythical Company has an idea for a great new game (GameX). However, none of the traditional publishers are interested in GameX. Mythical Company estimates that they require $500,000 to create GameX. So, they launch a 30 day Kickstarter campaign asking for pledges from the general public. If GameX receives at least $500,000 from its supporters, the money will be deducted from each backers’ account and transferred into Mythical Company’s account. If GameX receives $495,000, the Kickstarter project is considered a failure and no money changes hands. It is through this new method of funding that a lot of game developers are seeking to secure the capital to create new, innovative, and perhaps risky games that traditional publishers shy away from. For the community, this means that a successful campaign provides them with an avenue for shaping the game play of GameX before it even leaves the planning stages. Mythical Company is now far more connected with GameX’s fans and can produce a high quality product, which the public really wants. All of the companies which will be discussed in the days to come, have sought this type of crowd funding in order to develop the unique and creative games which they are passionate about. I will attempt to shed some light on some interesting games that are currently (or soon to be) in development. In this segment I sat down with Feargus Urquhart from Obsidian Entertainment to talk about their latest game in development, Project Eternity. Steve: For the younger audience who may not have experienced Icewind Dale, Baulders Gate or the like, what is Project Eternity? Feargus: Project Eternity is an isometric party-based RPG in a new world developed by some of the great designers at Obsidian Entertainment, such as Chris Avellone (Torment and KotOR2), Tim Cain (Fallout and Arcanum) and Josh Sawyer (Icewind Dale and Fallout: New Vegas). It will have an epic RPG story, a cool group of companions for players to find and add to their party, and incredibly detailed areas to explore. Steve: I know it has been asked before, but can you describe the evolution of Project Eternity? Feargus: Ten or twelve years ago, a lot of us worked at either Black Isle Studios on the whole series of Infinity Engine games (Baldur’s Gate, Icewind Dale, Torment), or at Troika Games on Arcanum and Temple of Elemental Evil. We loved making those games, and along with Fallout, they really lead to a resurgence of RPGs in the late 1990’s. However, after Black Isle studios and Troika shut down, and Bioware moved on to making console games, no one was really making the Infinity Engine style of games anymore. That had always bothered me, but I never really took the thought much farther until Jon from Gamebanshee asked me (in 2010 at E3) why no one was making them. I didn’t have a good answer other than people just were not making them anymore. That led to a lot of conversations internally and some discussion with investors to see if we could get such a game funded. When we saw the success of DoubleFine and inXile on Kickstarter, we decided to see if others shared our passion for these games – would there be enough interest in bringing back the Infinity Engine style games again? With the reaction we have had, I think the answer to that is yes. Steve: What kind of budget would you normally be working with through traditional channels? Feargus: For a game like this, we are working within the budget that we would spend on making the game. We were always hoping for more than the $1.1M. However if we had only gotten to $1.1M then we would have made a game that fit within that budget. That is why we have added things like classes, races, translations and platforms with the stretch goals. All of those add to the scope and work, which, if we had not met the stretch goals, we would have not added to the game. Steve: Interesting. Why did you choose to go the Kickstarter route? Feargus: It was a couple of different reasons. One is that we didn’t think that we could get money from the traditional sources. When we talked to investors, we couldn’t point to a recent success story that would make them confident it would be profitable. Another reason we like the Kickstarter model is that we get to own what we create. When we work with publishers, they generally own everything we create. That is not a knock on publishers – when they invest $30M or $40M in development just to get a game done, that is a lot of money and they need as many avenues as possible to earn that money back. Steve: With the Kickstarter funding, do you expect to break even at launch? Feargus: That is exactly our goal. We plan to use every dime that we get from Kickstarter to make the game great. We then hope to make a bit of profit from sales of the game after it launches. We will use this profit, along with our own money, to fund the first expansion of the game. We will be giving the first expansion away to our higher tier Kickstarter backers for free, as well as making it available for sale to everyone else. It’s important to us that we put all of the money we get from Kickstarter into the core Project Eternity game. Steve: What are some of the key values Kickstarter backers have expressed (game play or otherwise)? Feargus: They are just ecstatic that we are going to go back and make a type of game that they loved and that has dropped off the face of the planet. So many of them tell us that they still play all of those games, or they even just picked them up recently from GOG. Knowing that we love those games as well, and we were involved in creating them, really seems to make them feel comfortable pledging towards Project Eternity. Specifically though, they really want to see a lot of variety – lots of classes, lots of companions, lots of races, lots of weapon types, etc. They really want to see the game be a super robust RPG. Steve: How has this influenced the pre-production phase? 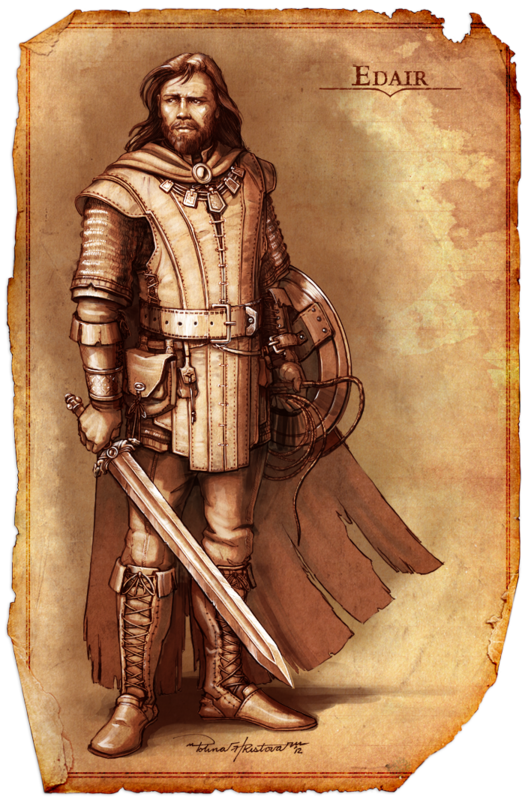 Feargus: I would say that we thought more about how many classes, races and companions we were going to add. After seeing the variety that our backers want to see, we talked more about how we could add as many as we could without jeopardizing the game. Steve: Can you talk a little about the reputation system which you are developing? How will you handle cause and effect in the wider world of Project Eternity? Feargus: Our reputation system will be similar to what players may have seen in Fallout: New Vegas. As you interact with people in the world, you start to generate a variety of reputations, positive and negative, with the world’s factions and communities. The system tracks both good and bad impressions, so if you save a basket of kittens from a burning house and later punch an old lady in the face, your reputation in that community is not “neutral”, it’s “mixed”. People from those communities will react to you based on your reputation, but it isn’t always a case of “positive rep” = “good times”. Sometimes being disliked by one group may actually cause another group to approach you favourably. And being liked by a group may result in their enemies coming after you — even if you’ve never done anything to harm them directly. Steve: Will time be a factor during questing? Quests seem to lose a sense of urgency if players can’t fail due to delaying too long. Feargus: I don’t think so. I really like letting players approach the game at their pace and in the order they want to do it. When we give them a lot of time based quests, what it feels like we are doing is making them play the game in the order and the way we want them to play it. I think that can work well in other genres – in RPGs, it is really about turning the game over to the player. Steve: Can you play without a party similar to the original Neverwinter Nights? Feargus: We don’t force you to use a party. We are not sure how well balanced the game will be towards the end, but it is something that we are not going to stop anyone from trying. Steve: How many companions can you have in your party at once? Feargus: Like the Infinity Engine, you will be able to have up to five companions in your party on top of your main character. We chose to go with the Baldur’s Gate style of a party, where you create “you” when the game starts and then you gather your group of companions as you play the game. Steve: Can you have companions which you can swap in and out similar to Dragon Age? I would imagine that if it was possible to switch party members you would have to go find them again. Perhaps they would hang out at a player’s house or a local tavern? Feargus: Absolutely – there will be more companions than you have slots, and you will get to choose who you want to fill those slots. 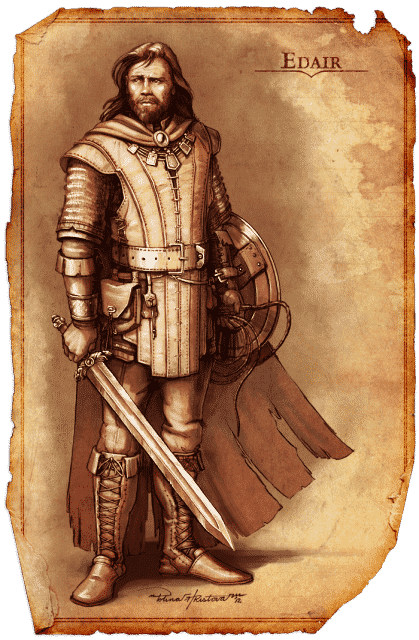 Plus, we recently hit one of our Stretch Goals – the Adventurer’s Hall – where players will now be able to create their own characters and then hire them to fill the companion slots. Steve: Will the player control each member of the party as in Icewind Dale? Feargus: Yes, this is really important for combat in the Infinity Engine games. You need to be able to control each character and tell them where you want them to go in combat and what you want them to do. Plus, you will be able to queue up a number of commands on each characters, so you don’t have to stop the combat as often. They will also act independently if you don’t tell them to do anything. That doesn’t mean they will run off and pull other monsters into the combat, but they will defend themselves and defend each other. Steve: Will the races be familiar to D&D fans or are you starting from scratch? 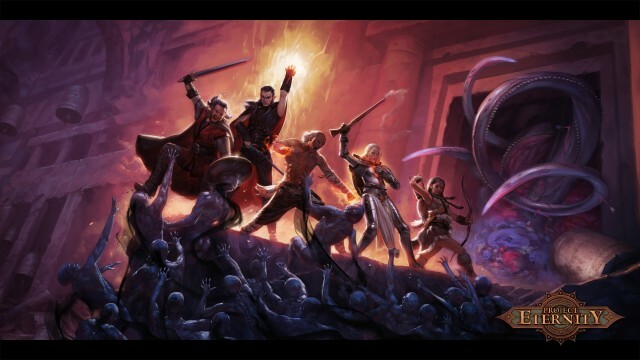 Feargus: One of the pillars of Project Eternity is that we want to make sure that we have a good amount of the familiar, like elves and dwarves, but with our own little bit of a twist. We want some new elements that really fit the feeling and make-up of the world, and then a small amount of things that just feel different. The reason for this approach is that we want the traditional to feel comfortable, but not stale, the new to really fit, and to have a few things that are very different for people that want a big change. Steve: How will non-combat skills be earned? 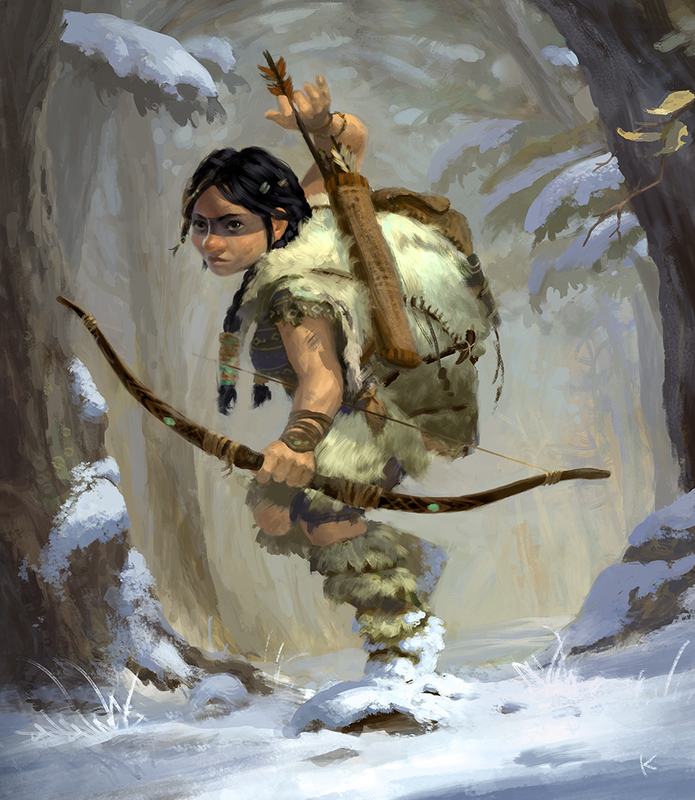 Will skill progress be similar to Skyrim, or closer to Icewind Dale II where you get so many points based on intelligence or other various attributes? Feargus: Skill progress will be closer to Icewind Dale II where you get a number of points per level to spend on skills. We don’t have “skill” and “non-skill” classes, so with each character it’s more about deciding where to spend points rather than having one super-skilled character and five drooling buffoons dragging their swords behind them. Steve: Can you describe the crafting system? Is it going to be similar in terms of mechanics, to other games we may be familiar with? Feargus: It may be loosely similar to crafting in Fallout: New Vegas. You will find ingredients in the world (environment, containers, combat loot) and can then use recipes to craft items at certain locations. The main differences will likely be that our recipes will have slightly fewer ingredients (excepting extremely rare items) and the ingredients will be segregated from other items in your inventory. Steve: Will there be multiplayer? If so how will this effect real-time-with-pause? Feargus: We aren’t going to be putting multiplayer into Project Eternity. We wanted to make sure that we put all the funds we got from Kickstarter into creating an incredible RPG world and single-player experience. Multiplayer not only adds some design challenges, but would require us to spend a lot of our time and budget developing, testing and polishing that aspect of the game. Steve: What game engine will you be using? Feargus: We looked around a lot at different options as well as our own engine, and we decided on Unity. We really like how it supports Mac and Linux, and the editor is pretty amazing. The team has really been having a fun time working with it and getting the core systems of Project Eternity up and running. Steve: Why Linux? Many companies have shunned or down right ignored the Linux community. Have you seen a large demand or is there some other motivation? Feargus: The Linux community is really active when it comes to games and with us using Unity it felt like a great opportunity to support a group of people that might not have been able to play our games otherwise. We also really just want to see as wide an audience as possible having fun with what we create. Steve: The original Neverwinter Nights had a vibrant community due to the online worlds fans were able to make. Will there be fan created content and modding in Project Eternity? 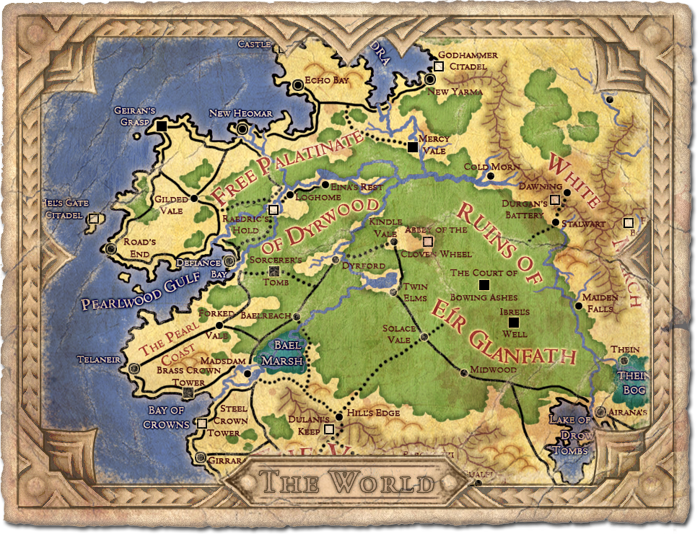 Feargus: We talked recently in one of our updates about modding Project Eternity. 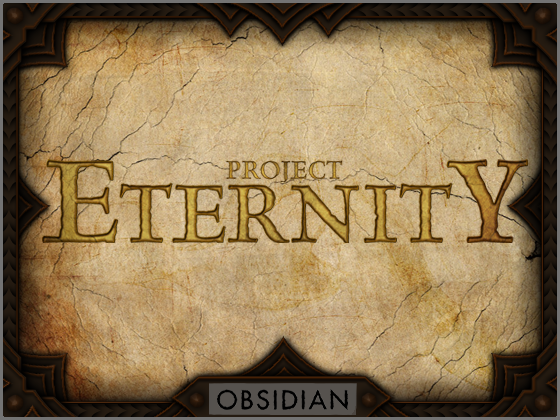 We are working with the Nexus Network to host mods for Project Eternity. Right now we are going to open up our file formats and make sure that everyone can change RPG data the way they want to change it. As we get more familiar with Unity, we are going to support more and more modding. We really love to see how everyone extends our games and think that modding is one of those core things about PC gaming that makes it so awesome. Steve: How will you handle voice acting? Will it be limited to cut scenes, main characters, non-existent or somewhere in between? Feargus: We want to give our designers a free hand when it comes to writing dialog, which means we are going to have to limit how much of that will have voice acting attached to it. Our goal is to have a lot of the critical dialog voiced along with things like greetings and important things that the companions have to say. Steve: What technologies will Project Eternity use do deliver its content? Feargus: We are using both Steam and GOG right now. In the future we are also planning to host an Obsidian Company Store on our web site where the game could be purchased directly from us in addition to other items our fans have expressed interest in. Steve: Do you plan to continue taking preorders after the Kickstarter campaign is over? Feargus: We haven’t entirely figured that out yet, however we will most likely leave our PayPal donation site up for a while longer. 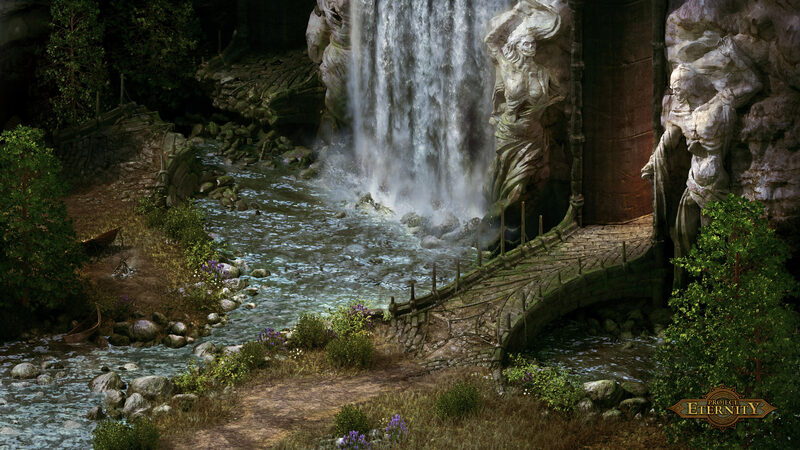 inXile just revamped their own site to continue taking pledges and donations. We do want to make sure that our Kickstarter and early PayPal backers feel like they have been treated right, so we will look at how long we really should keep a site like that active. Steve: You have previously mentioned the desire to add on to this new world you are creating. Expansions or DLC? Feargus: This is a PC game, so we don’t speak of DLC. While that is somewhat of a joke, we are serious about not doing funny things with DLC. We do have a few Kickstarter Exclusive items that we feel should be kept exclusive as a thank you to our backers, but we won’t hold back things we make and then offer them as DLC. Our approach with an Expansion Pack is that it should feel like the expansion packs from the Infinity Engine games – a lot of content and something that took a team for a fair number of months to create. Feargus: I’ll be honest, we haven’t really thought of all of that yet. For right now, we are using PayPal. We probably should look into the other two. Thanks for the suggestion! Steve: Open forum, is there anything else you would like to mention? Feargus: I really want to thank everyone who has pledged to Project Eternity. It has been amazing to see the response and we are really grateful to be able to make the game. If any of your readers haven’t checked out the Kickstarter site – I’d encourage them to do so. We are very active up there and on the Obsidian forums. For the rest of the campaign, I’ll be up on the comments section over on the Kickstarter site (we are at about 33K comments so far) answering questions for three or four hours a day. Steve: Thanks Feargus, I for one will be watching with interest as Project Eternity comes closer to release. Kickstarter may well prove to be a great boon for developers, both independent and well established alike. As Feargus noted, Project Eternity may not have existed without the crowd funding model that is in place. For Linux users, it has given them yet another avenue to express their desires to pay for high quality games on their favoured platform. As you will see in the coming articles, many of the projects which are supporting Linux, are doing so because of the ground breaking work done by the Unity game engine, which allows developers to easily export their products across multiple Operating Systems. Stay tuned for further developments as inXile, The Guys from Andromeda, Games Foundry and others talk about their games, Linux and Kickstarter! Very cool article, or part1 of article. Whatever it is, I like it! Thanks, really go out to all parties who helped push this through. There were a lot of patient people working with me on this! I have BG, BG2, IWD, IWD2, NWN, NWN2, DAO, FO, FO2, FOT, FO3, and FO:NV with all their DLC/expansions as well. All good RPGs, and I'm sure Project Eternity will be a great game too. When did you find out about the Kickstarter Project? Probably 2-3 weeks ago when searching for Baldur's Gate type games. The Linux Action Show showing overclockers.com some love around 42:54. For those who are interested in some really high quality podcasts Jupiter Broadcasting has shows for everyone from gamers to Sys Admins, to politics junkies and more. They are excited for Project Eternity and so am I! Meh, what are you going to do? NVIDIA cards have 0 problems. With ATI, it seems to be hit and miss depending on which driver you install ("Offical" vs repo) and which card you have. The 5xxx series for example work better with the repo drivers, the 6xxx series is the reverse, where the repo drivers dont have the support for 6xxx fleshed out yet. I don't know anything about the 7xxx and driver support. Phoronix is a great place for that sort of information. Only 5 hours left on the kickstarter. They added a $350 pledge tier that includes an OEM AMD A10 CPU, and they added a final stretch goal of $4,000,000 to "enhance" the whole game.